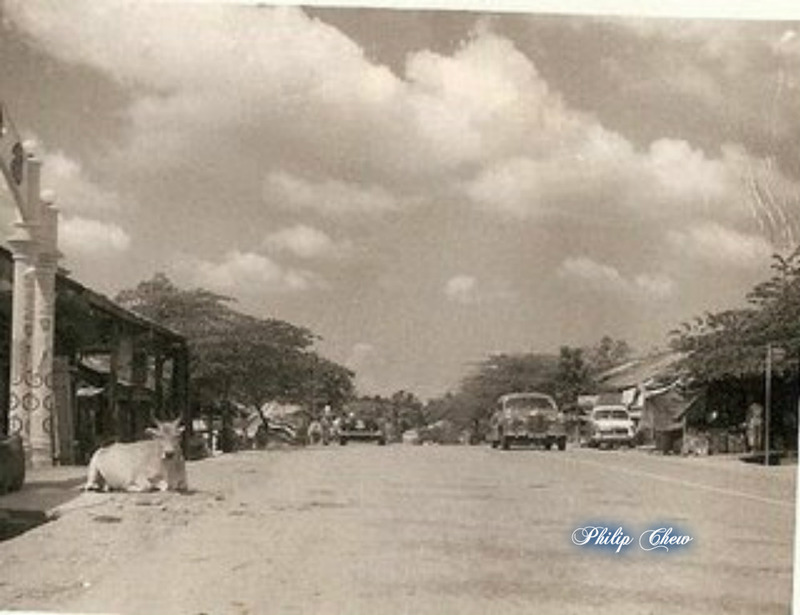 Chong Pang village is so different now compared to 5 decades ago. 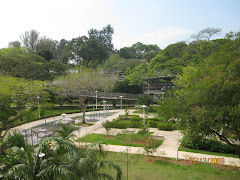 Recently, I came across a few photos posted by hyacinthus in her blog. It is no longer a village with attap or corrugated iron roofs. The whole landmark has changed beyond recognition. Life within a small community then was more leisurely and the villagers knew almost all their neighbours. 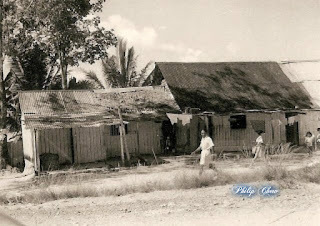 It reminded me of the days when our team chose Chong Pang village for our village report. The field works was part of our diploma course. 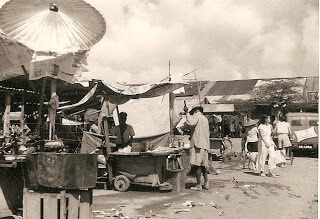 The wet market was off the main road and hawker stalls overflowed onto the market concourse. Most of the stalls were operated by illegal hawkers. At that time, Singapore was self sufficient in meat and market produce with some imported from the neighbouring countries. Housewives looked their best in sarong kabaya and Chinese samfoo for their marketing. After the marketing hours, refuse could be seen all over the place. Picture above showed a daily rated worker cleaning the area. People like him helped to keep our environment clean. In late 1950s the first Mayor of Singapore introduced public standpipes to most of the villages in the rural areas. Villagers were so used to getting free water from public standpipes that they continued to do so even when their homes had piped-in water supply. Villagers walked quite a distance to the main road to take public transport to work and to school. 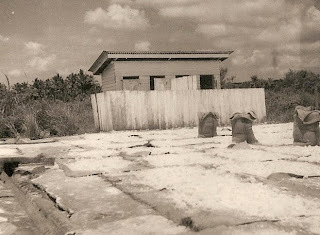 In the picture, the centre house had attap roof whereas the neighbours on either side had upgraded to corrugated iron roof. The village had a sago factory. Notice the unhygienic way of drying sago flour in the open. One of the private clinic in the village. The doctor parked his car on the shop's pavement as there was no proper parking lot fronting his shop. 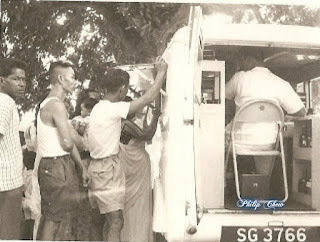 Mobile clinic from the Ministry of Health for the poor or was it an X-ray vehicle as TB then was the No 1 killer disease. 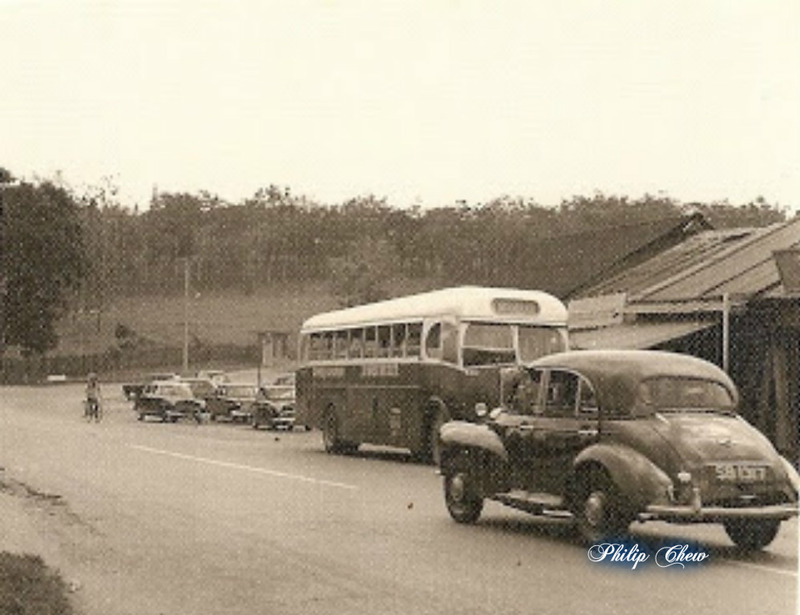 The Morris Oxford on Sembawang Road, was going towards Nee Soon. Most motor vehicles at that time were British, European and American made. 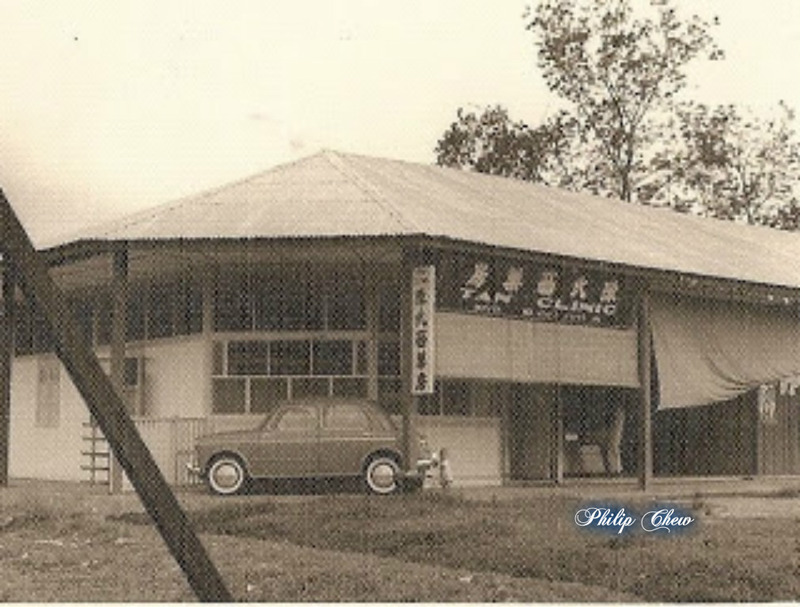 Japanese car was not yet introduced to the population. This place has changed beyond recognition. Drove by recently and got totally mis-oriented. Good thing you still keep have those photos. They are rare nowadays. And quality so good some more. 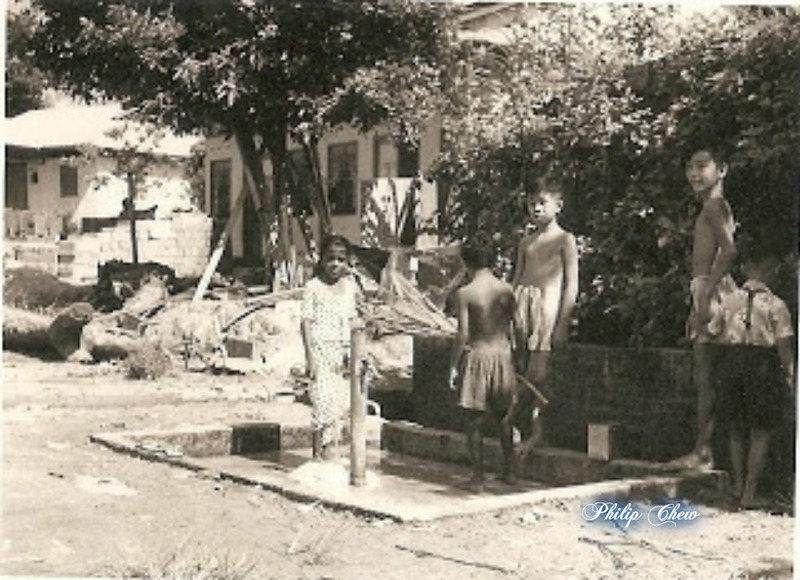 In our kampong, before we had our own tap water supply, we too had a common tap like the one in your photo. That photo with the buffalo is a real classic man. Thanks Chun See, my next post will be Kampong Eunus where I lived for 5 years from 1957.
as i mentioned earlier before your re-posting of this entry, x-ray for tb was a yearly ritual for civil servants in the 60s and 70s. we had to make our way to this villa outside tan tock seng hospital for the annual examination. many of us wondered if it was harmful to be exposed to the rays. X-ray is definitely harmful if taken often at short intervals. 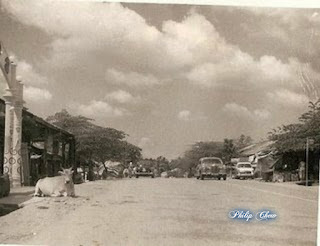 But once a year is ok.
Nice to see old photos of Singapore! However, please note the car mentioned as a "Morris Oxford" in the last pic. is actually a Morris MINOR. 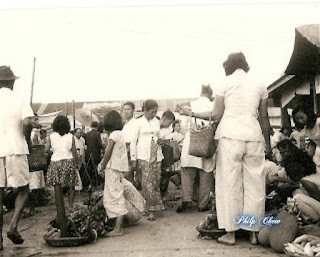 It's great to see blogs like yours on what Singapore was like and sharing of memories of living in a Singapore that's so different from today. I wish my dad would do the same -- he used to have so many photos but I'm not sure if he threw them away when he moved house. 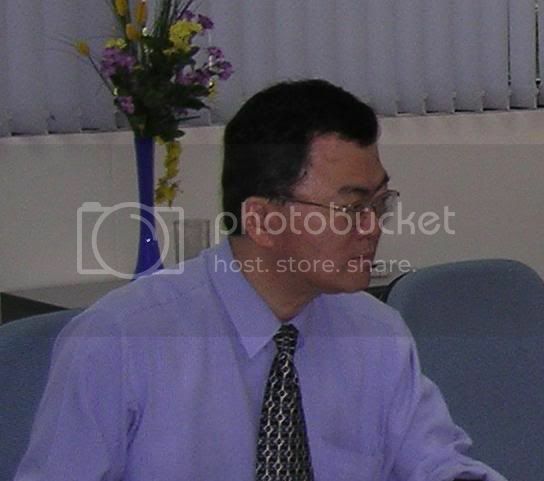 Keep it up, Mr Chew! !